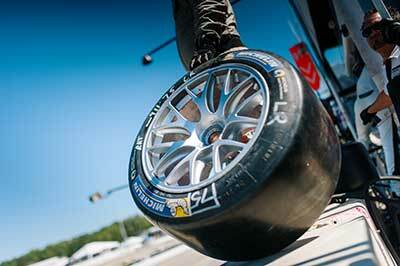 Michelin has enjoyed great success in competition at Road Atlanta and beginning in 2017, Michelin will be the Official Tire of Road Atlanta and the Official Tire of Motul Petit Le Mans, as announced by track officials today. Located just over 100 miles from the Michelin North American headquarters in Greenville, S.C., the 2.54 mile Road Atlanta circuit has long been referred to as a "home track" for Michelin. Michelin has competed at every Petit Le Mans event since the inaugural race in 1998, and is the winningest tire maker in Petit Le Mans history, having claimed 16 overall race wins, including a stunning overall race win by a Porsche GTLM class entry in the rain-soaked 2015 event. 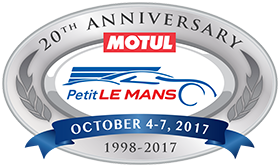 BRASELTON, Ga. (January 27, 2017) – Motul will serve as the title sponsor for the world-renowned Petit Le Mans 10-hour endurance race at Road Atlanta, as well as the Official Lubricant Partner of Road Atlanta and Petit Le Mans, track officials announced today. The Motul Petit Le Mans, set for Oct. 4-7, is the final race and championship decider in this season’s IMSA WeatherTech SportsCar Championship, as well as the ultimate race in the four-event Tequila Patron North American Endurance Cup (TPNAEC). The TPNAEC also includes other iconic endurance races at Daytona International Speedway, Sebring International Raceway and Watkins Glen International.